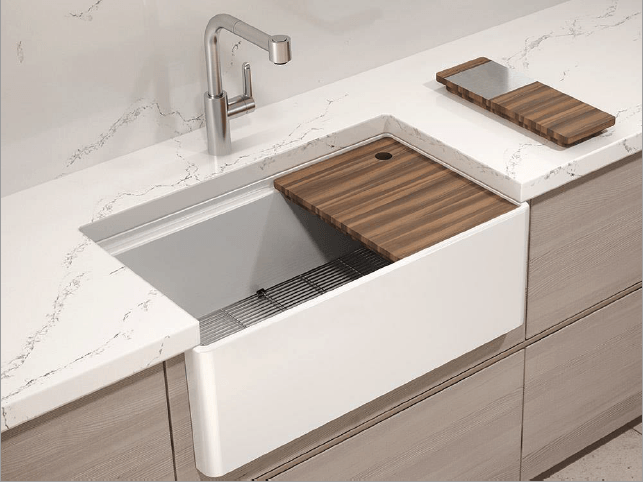 The Smart Station accessories and two different looks on the front and back are what made this kitchen sink win our hearts. Smooth contemporary or framed transitional with cleverly fit accessories are a winning combo from Julien. Can’t decide between grey and beige? Greige is the new “it” color, mixing your favorite greys with the warmth of beige. What better way to bring this understated hue into your home than your kitchen sink! 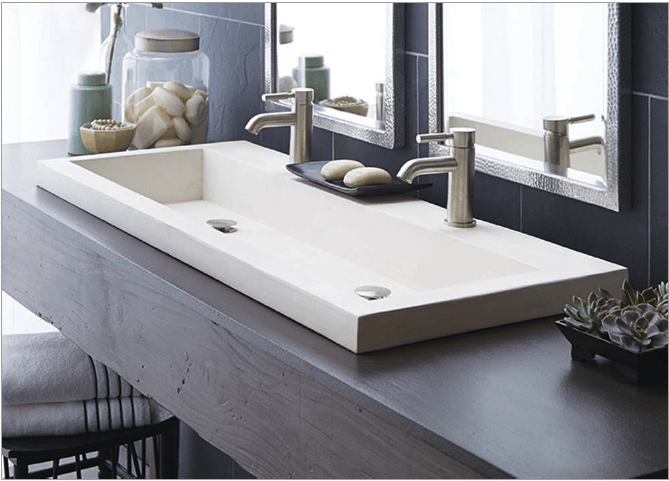 These Quartz sinks from Elkay offer a scratch resistant finish, sleek style, and several bowl combinations and sizes. We have to admit, we had a little fun with this one. This faucet re-invents the concept of the wheel with its pulley-style system that is sure to make your kitchen the talk of the town. 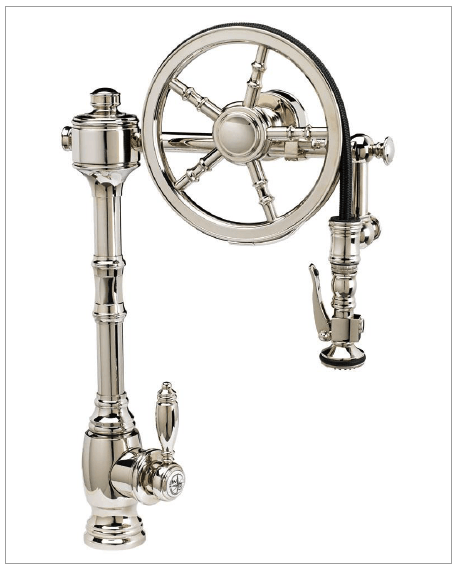 This faucet will be installed in our showroom soon, so be sure stop by and see it! 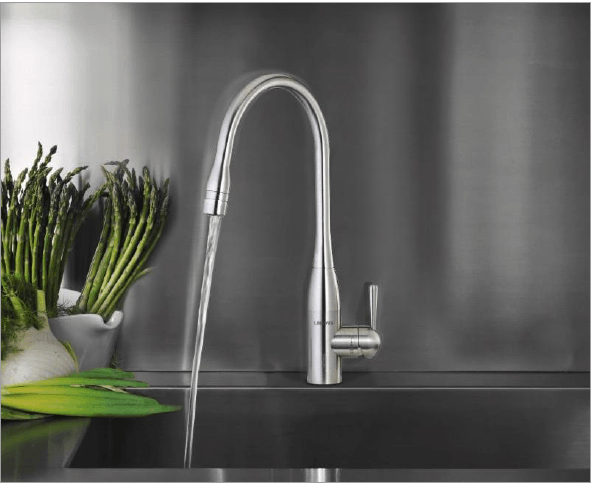 This faucet features an ozone generator that naturally produces ozone water, which provides a safe way to clean hands, surfaces, and food without the chemicals and harmful residues. 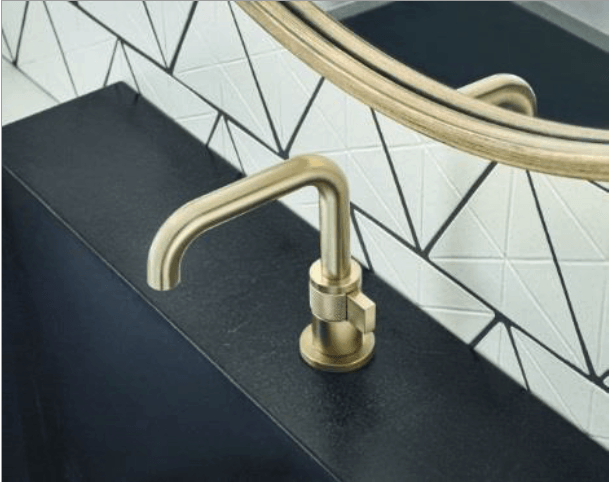 We are drooling over this artfully designed faucet by Laura Kirar. Its abstract pattern is sure to give you a one-of-a-kind look! 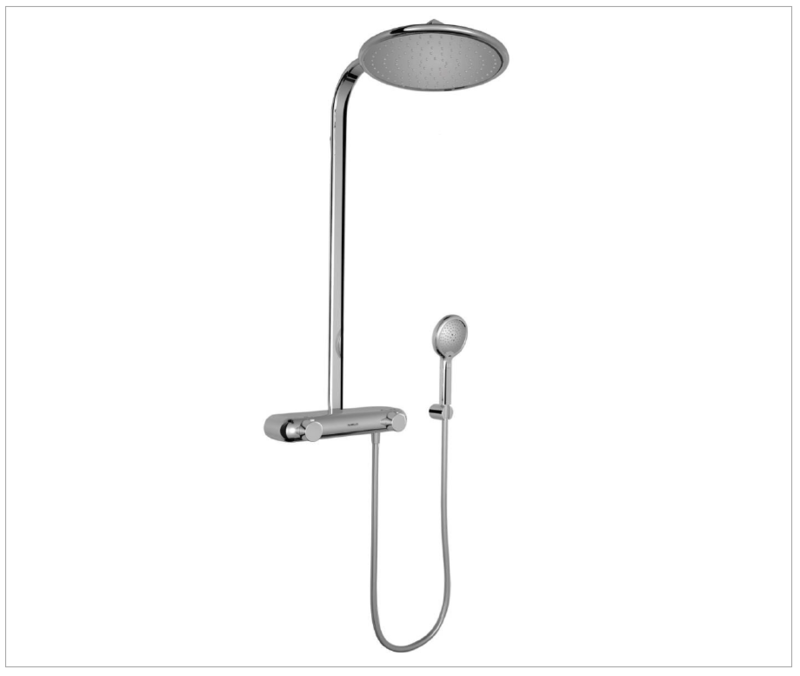 Available in chrome, polished nickel, unlacquered brass, antique bronze, and combinations. 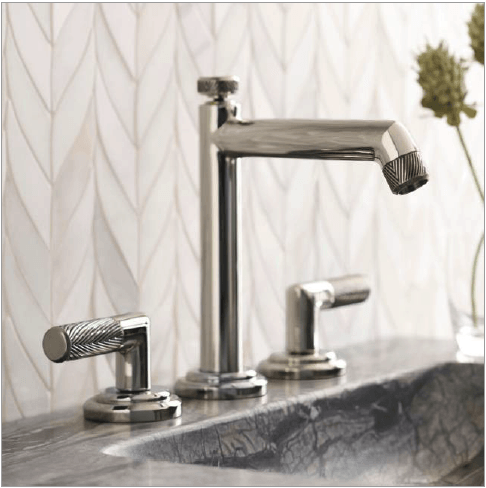 This luxurious faucet is simple, yet intricate. It offers a variety of handle options, including teak. 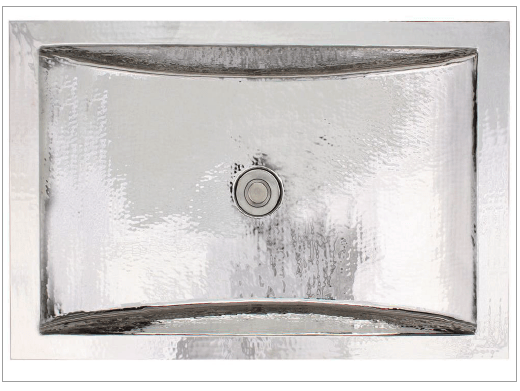 Whatever handle style you choose, it is sure to make a statement of elegance and interest. This handcrafted beauty is perfect for sharing. It is made out of concrete and jute, giving it a natural feel and a unique surface that can integrate smoothly into many styles. This gorgeous hammered sink is a cool twist on the traditional under mount bathroom sink. We recommend pairing this sink with a funky, decorative drain (shown with the Cloisonné Beaded drain with White Clouds) and you’ll have a look that dares to stand out! We could not stop exclaiming over this super cool combo. This sophisticated vanity offers a visually stunning design with killer storage opportunities. 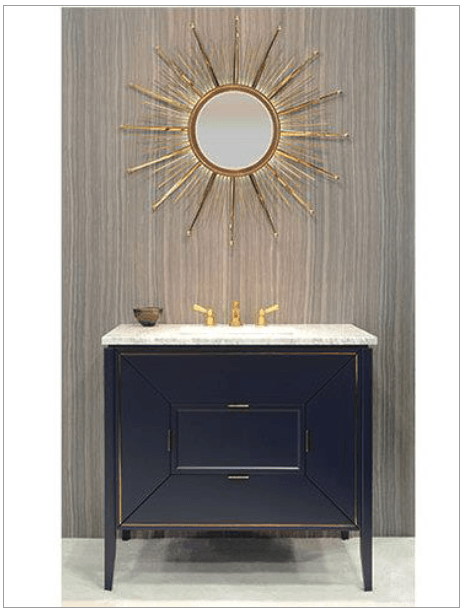 Complete the look with their Sun Mirror and your bath or powder room will be the envy of everyone. Vanity light, night light, or both! 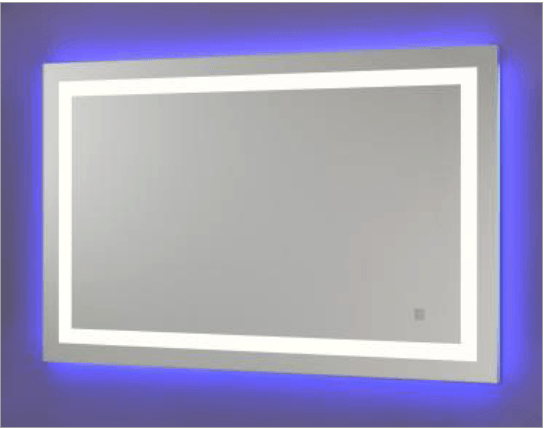 This mirror’s frame lights your appearance while it backlights the wall in blue. Use each light or both with a touch of the sensor. The versatile design works well for any bathroom. 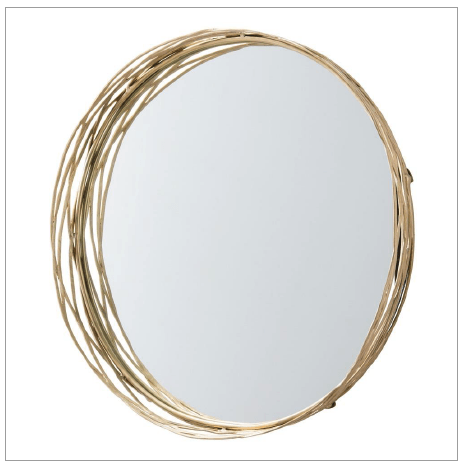 This mirror features an intricate web of solid brass that grabs the eye and holds you captivated. Each band is hand finished and welded together to give a beautiful, unique look. We just couldn’t leave it off our list! Shower singers rejoice! You can now enjoy the perfect accessory to amplify the acoustics for your shower karaoke. This rain head offers a minimalistic design with a high performance speaker, bluetooth technology, and auto phone answering. We are loving all of the products Nikles has to offer. 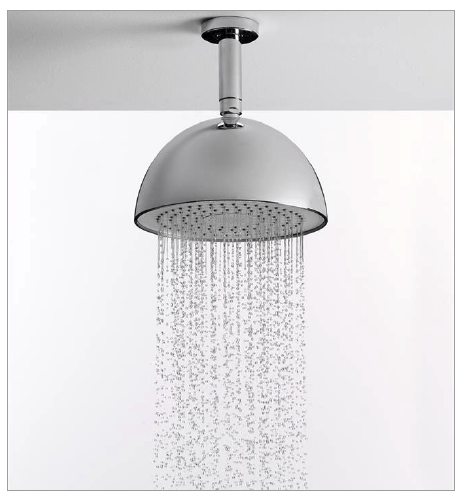 This thermostatic shower unit offers a sleek, minimalistic design to fit many styles. It is also available in square! 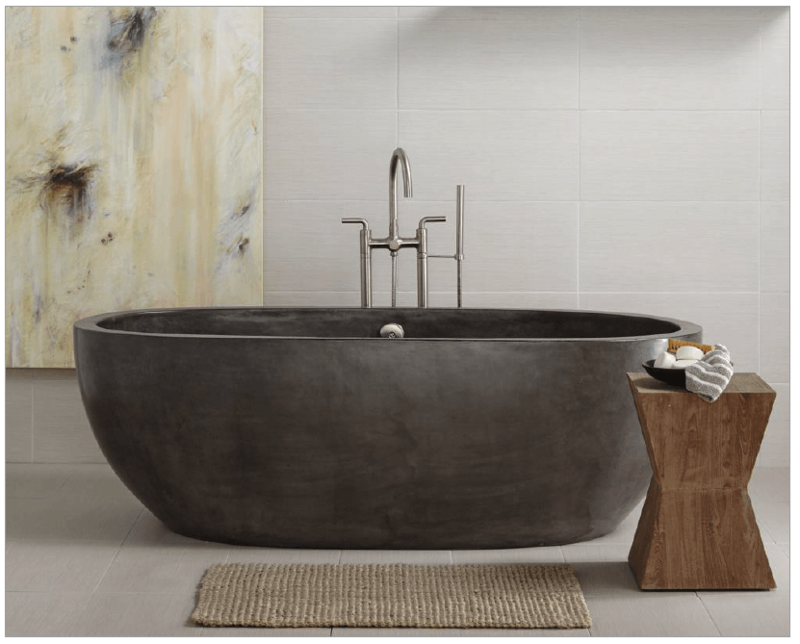 This breathtaking concrete and jute tub is a beautiful piece that turns your tub into artwork. Its thick walls provide excellent insulation to ensure long lasting heat. We loved it so much we brought one into our showroom! 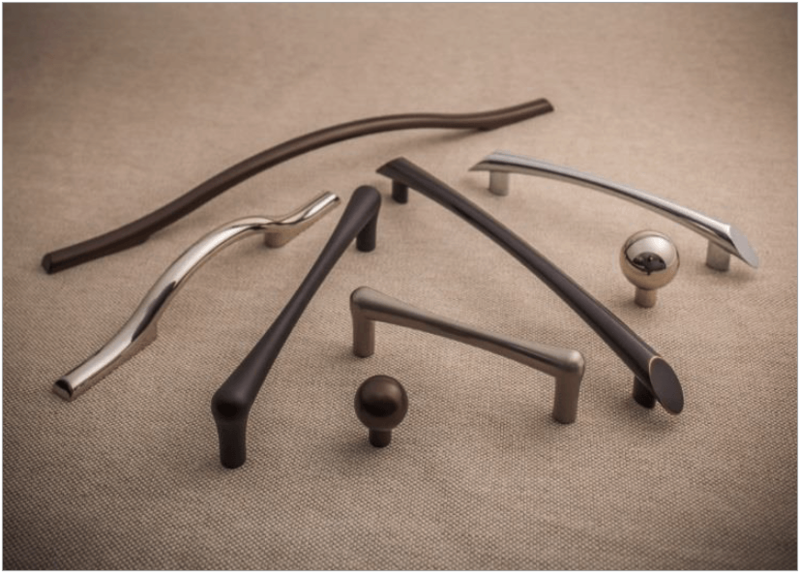 This hardware collection offers style and refinement with elegant and sleek designs with 36 shapes, 5 different series, and timeless versatile appeal. This sconce features mouth-blown glass that offers an updated urban, mid-century style and is available in multiple fun colors. 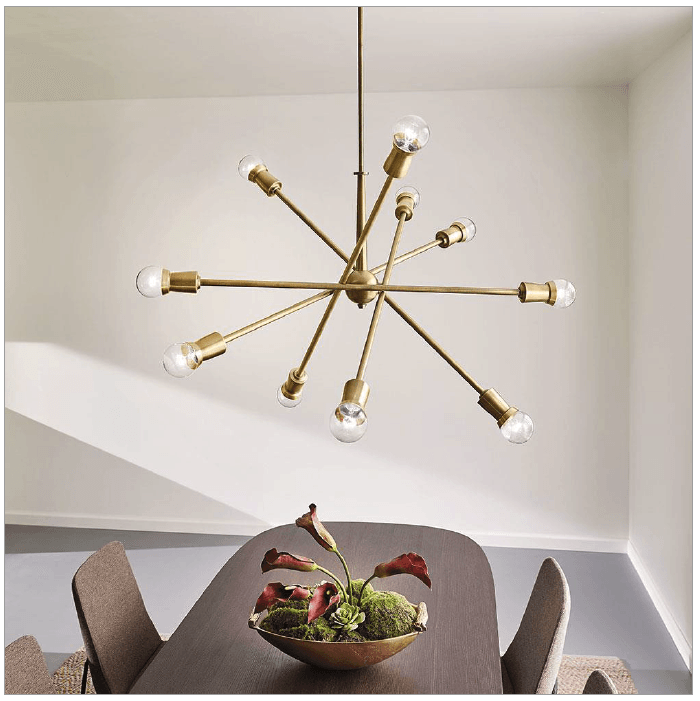 This mid-century modern chandelier is sure to make a statement with its Sputnik-inspired design. The arms are also adjustable allowing you to customize the light for just the right look. 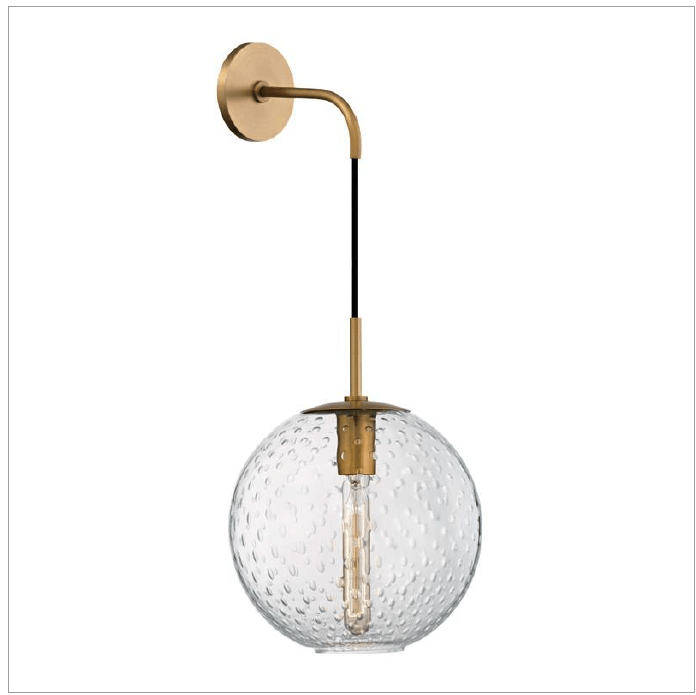 This bold light fixture is sure to stand out! 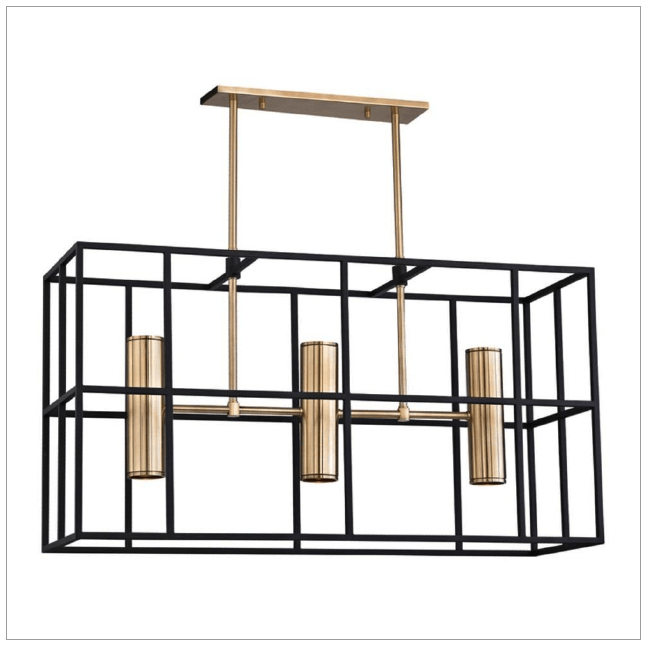 It’s black metal frame contrasts perfectly with the brass for an on-trend look that will accent any style. This finish exudes depth and allure and can fit any style. It can lend to a rustic, earth-metal feel in a traditional setting or an industrial-contemporary feel. Some brands vary slightly into a gunmetal tone and they all have us swooning. 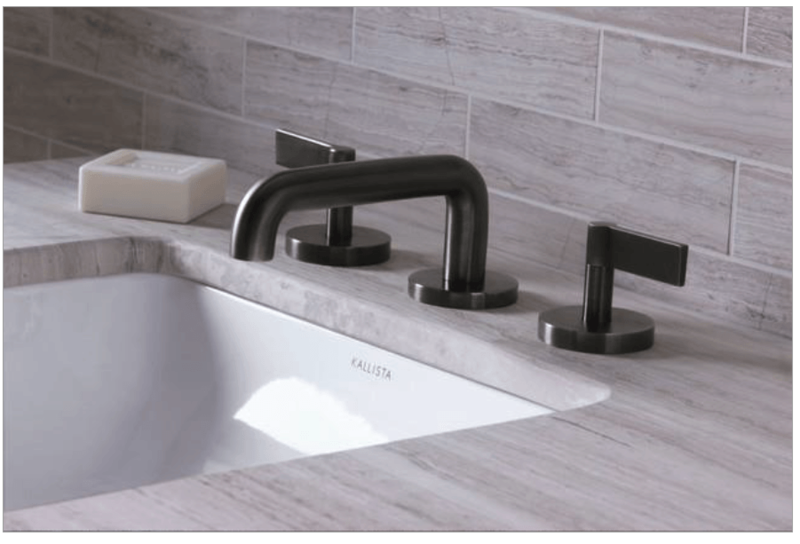 We cannot get over how gorgeous the Kallista One faucet looks in it!